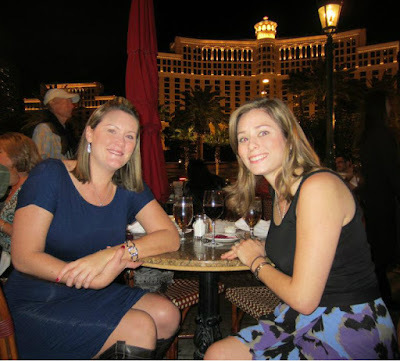 Whether you call Vegas "home" or you are a visiting from other state or outside of the U.S., I've got the PERFECT list of restaurants for you! 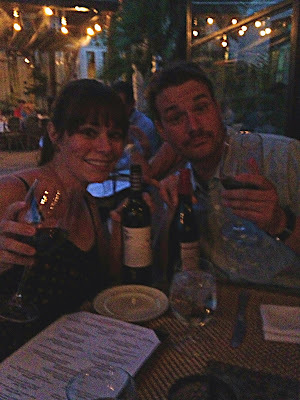 After living in Vegas for over four years, my husband and I, along with our fabulous friends and family visited numerous top-notch restaurants. Most of these restaurants are mid-to-high range prices, but you get what you pay for, right? While living there, Vegas prices were just something we got used to. I really hope you will give some of these places a try and enjoy them as much as I did and plan to do in the future! Keep in mind this list includes restaurants scattered throughout Vegas (Northwest, Summerlin/Red Rock, The Strip, South of The Strip & Fremont Street areas). -Do you LOVE seafood? The seafood at the Chart House is incredible. We celebrated our friend, Kiel's, birthday right in front of the gorgeous fish tank. It's not the same fish tank that's at the Golden Nugget pool, but still just as pretty. Why not kill two birds with one stone and check out the infamous "golden nugget" and the enormous fish tank outside at the Golden Nugget pool. 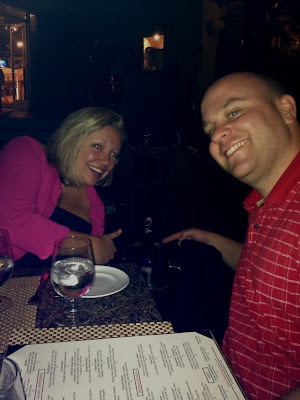 The hubby and I after dinner at the Chart House for Kiel's Birthday. 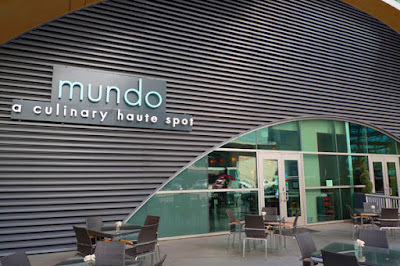 across the street to Mundo. It's open for lunch and dinner; closed on Sundays. I was never disappointed and loved going for happy hour since it was literally five minutes from my work. -I went here with my parents and God parents when they visited. The restaurant slowly spins (one hour to complete one circle if I'm not mistaken) so you get views of the entire Las Vegas valley! If you get motion sickness easily I recommend bringing ibuprofen and drinking water to get over the weird feeling. It helped me and allowed me to enjoy the experience! We booked our reservation before sunset so we could enjoy watching the sunset while dining. The cuisine was very good and we got free admission to the deck (where the rides are located) to get even more pictures. 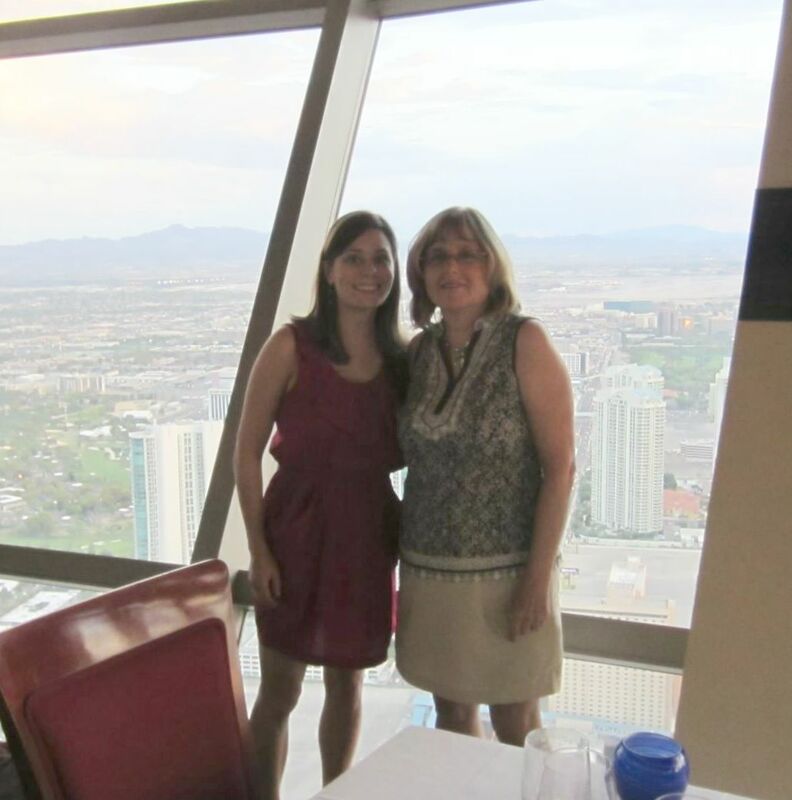 My mom and I enjoying the views at Top of the World. -We celebrated my good friend Sarah's birthday here. 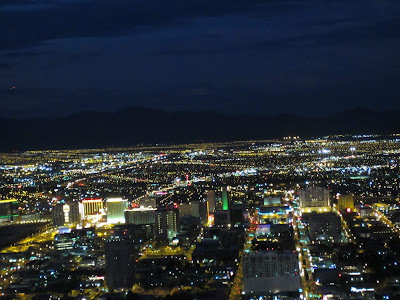 It had a wonderful view of the strip. The sushi was very good, but a pricey for rolls. sushi dinner celebrating her birthday in 2013! 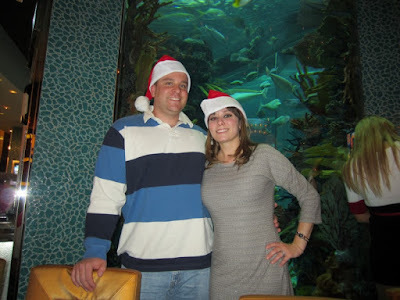 -Excellent steakhouse right off of the Strip. I've been here multiple times and I especially loved their pineapple martini! So much so, that my friends and I tried to duplicate the martini at one of our AF Balls. -This French restaurant is a must when you're on the Strip! I have been here several times and even celebrated my friend, Jessica's, birthday with her when she visited from Delaware. I've sat inside and outside. The outside patio is better in the spring or fall and has good views of the Bellagio fountains. Jessica and I celebrating her birthday dinner at Mon Ami Gabi. -Gorgeous view of the strip from the top of Mandalay Bay. My friends and I went here before a concert. I snapped this photo on the bar patio just before leaving the restaurant. 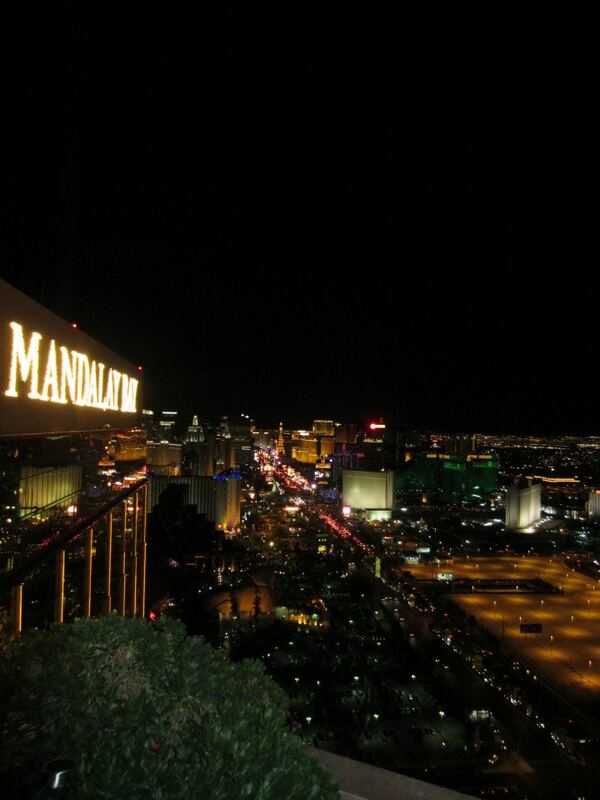 Gorgeous view of the Strip from the Foundation Room. although it was the Summerlin location. It's only open for dinner. -Our friends Carlie and Justin had been here several times and raved about it, so they took us one night and they were RIGHT! 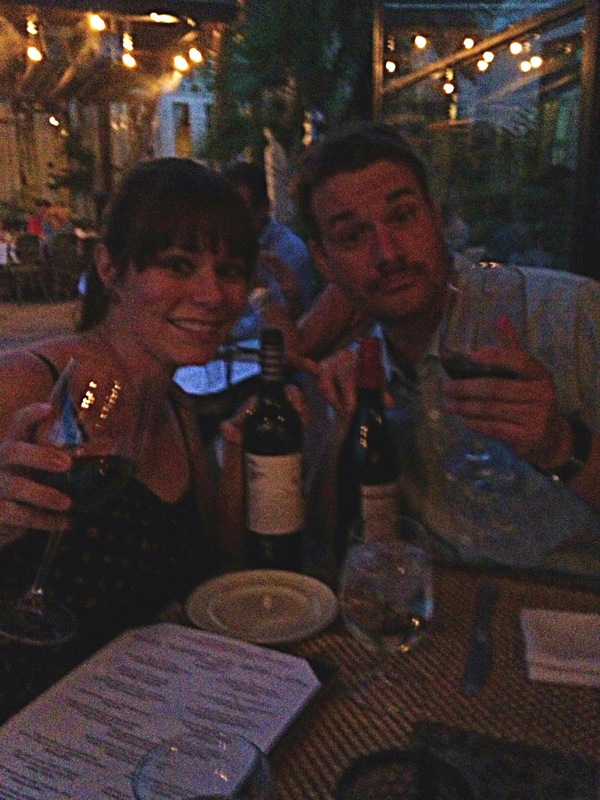 It was a cute little restaurant with American Cuisine and decently priced wine-by-the bottle list. While viewing their website for the address, I found something awesome! *Chef Wes Kendrick provides a few tasty-sounding recipes on the Table 34 website! You're welcome! 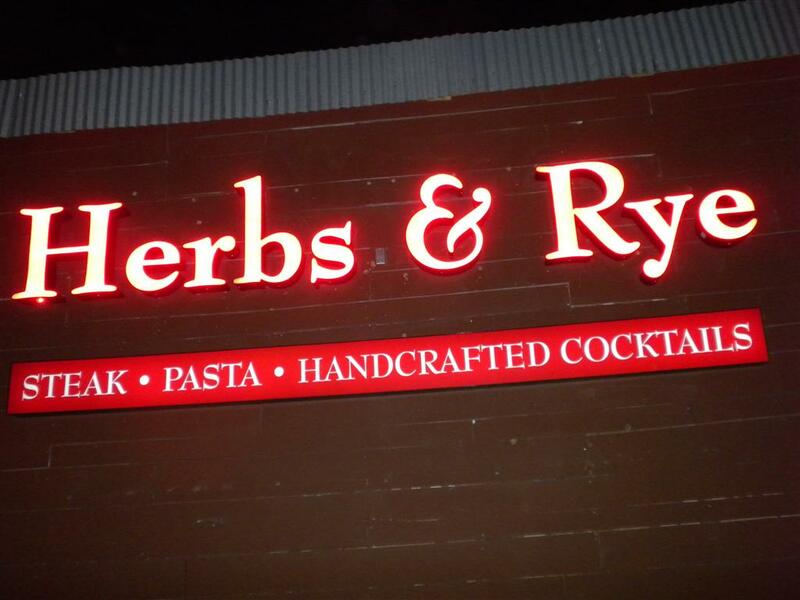 Doesn't look like much from the outside, but this restaurant doesn't dissatisfy. It has a dark, rich feel to it. Featuring cocktails dating back to the 1800s. Although I didn't actually see it listed on their current cocktail list,my friend Amber introduced me to a Moscow Mule at this restaurant. My steak was pretty darn good too! -Mouthwatering cuisine. Wonderful charcuterie and cheese. 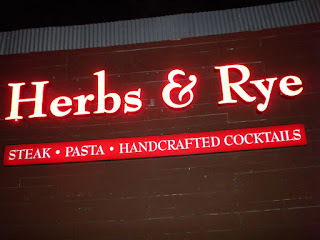 In 2012, my husband and I enjoyed our Valentine's Day dinner here and we celebrated my good friend Tawnya's birthday here in 2013. I went during the winter months. Their outdoor space looked phenomenal! I just never made a visit during the summer months. It's kind of a hidden gem -- it's located in a business park. You will see the "VG" sign on Charleston Blvd, but then you'll turn onto Indigo Drive and then make your first right and drive until you see the sign for the restaurant. -Great French restaurant on a lake. Seth and I loved their charcuterie and cheese. We went here multiple times. I distinctly remember taking at least three separate couples here because we loved it so much. They serve lunch and dinner. Live music several days a week. 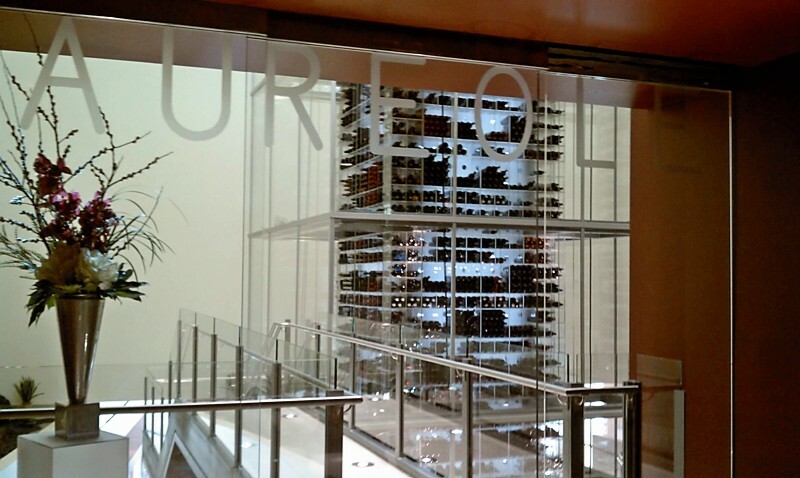 There is also a wine shop you can browse before going into the restaurant. away dinner in August 2013. -My friend Tawnya had a rough day! She not only had one, but TWO flat tires! So...after we got her car situated, we headed to Mezzo for some much needed wine and pasta! It's truly a hidden gem in NW Vegas! -We lived within 5 minutes of Leticia's so we went here constantly! Whether it was just for happy hour or for a meal, I never left disappointed. I loved their cadillac margarita and my favorite dish was the Spinach and Mushroom Enchiladas. -Family owned restaurant. We had a location within 5 minutes of our house so we frequented this restaurant. We loved the saganaki (greek cheese served on a flaming hot skillet), pumpkin mushroom soup and traditional gyros with yogurt-dill sauce. Simply amazing! When family visited from out-of-town we took them here -- they absolutely loved it! -Five star dining on the strip. We went here when my sister-in-law and brother-in-law visited several years ago. We paid a lot of money for the meal, but it was a wonderful experience to do once in our lives. They have a tower of wine with "Wine Angels" who appear to float up and down to retrieve your bottle of wine. 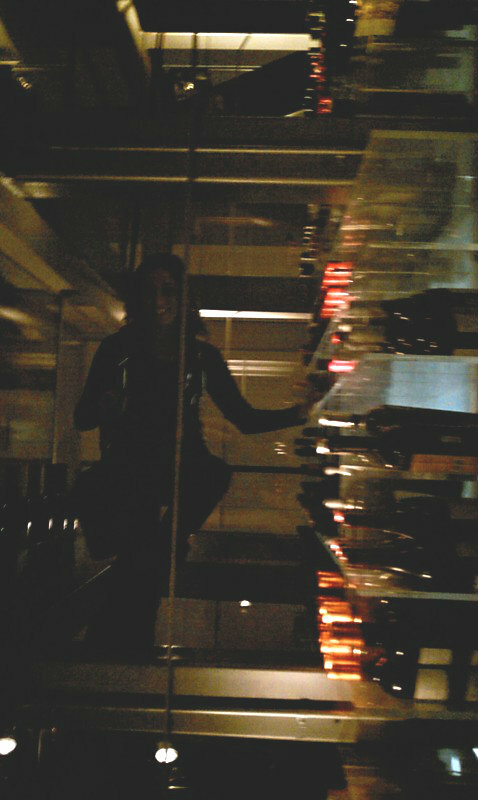 "Wine Angel" posing for the camera in the wine tower at Aureole. 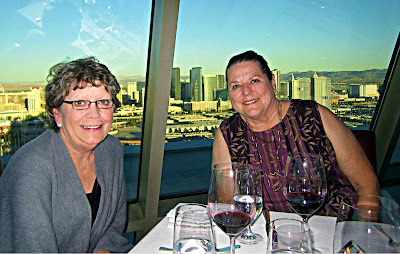 -Our personal favorite, five-star French restaurant in Vegas. Magnificent view of the strip. I suggest booking the reservation before sunset so you can watch the skyline change before your eyes. Our first visit was during restaurant week and then we returned with our friends Eric and Dana when they visited from NY. To quote my friend Tawnya, Alize has: "Amazing FAS -- Food, Service and Ambience." 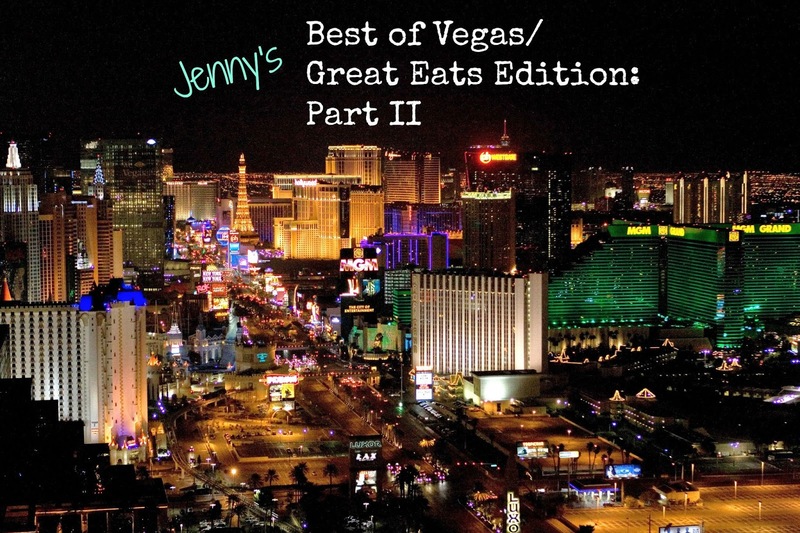 I believe it's rated #1 in Vegas and is my personal favorite! Sarah and Aaron's mothers enjoying their meal at Alize. 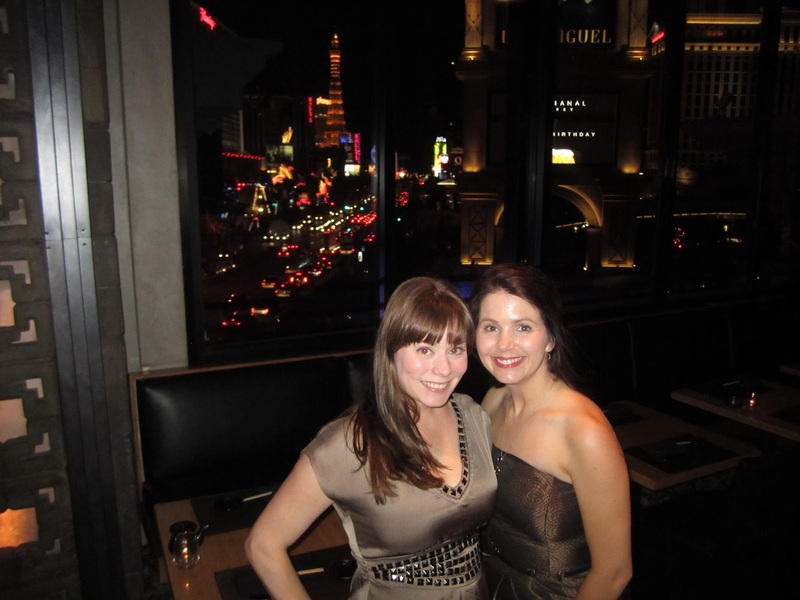 Check out that view of The Strip! -Oh my goodness! The fish here is AH-MAZING! After I moved out of Nevada, I took a weekend trip to Vegas with some of my girlfriends and we went here. I ordered the Dover Sole-Brown Butter Sauce and it was stupendous! Seriously, the best fish EVER! I highly recommend this restaurant for their seafood. If I'm not mistaken, I believe my friends ordered crab and were very pleased with their meals. The side dishes are 'family style' and delicious as well. The next time you're in Vegas, I hope you enjoy yourself and splurge on a phenomenal meal that will blow your socks off! I highly recommend budgeting for at least ONE meal splurge, so you can experience what one of the best restaurants in Vegas has to offer. Happy eating! *Photos were taken by myself, my friends or family (I got permission to use) or listed on Google Images (labeled as: reuse with modifications.) Please ask permission before using my photos.